Have kids, will travel. . . As a mom of three active boys, with three very different personalities (you know what I mean), I look for places to go that will keep them all happy at the same time. 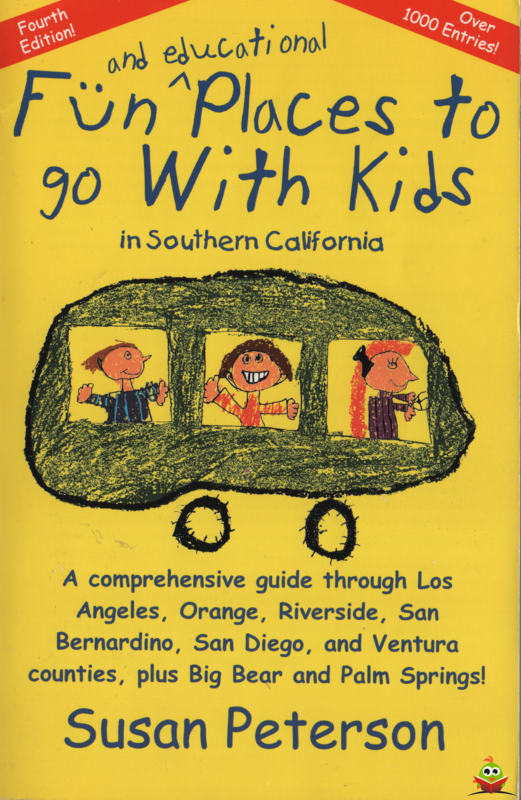 Not having found a current comprehensive guidebook on the market that would meet this challenge, I wrote my own. It is my hope that other moms, dads, educators, home schoolers, troop leaders, grandparents, and anyone in contact with kids will benefit greatly from this book. So have fun using it to entertain, enjoy, and explore with the children in your life! Susan Peterson is a columnist with the Los Angeles Times and Orange County Woman. Her columns continue in the same adventurous vein as her book; exploring places that families can enjoy. She is a gifted and animated speaker who shares this valuable information at various groups around the Southland. 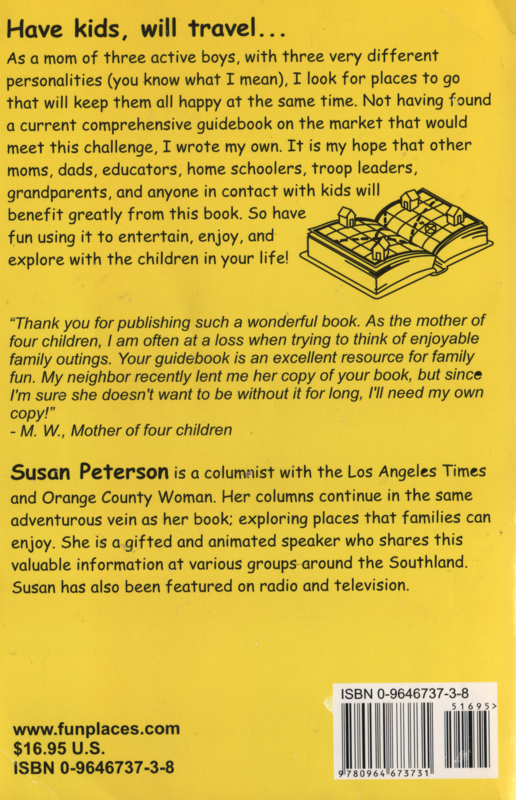 Susan has also been featured on radio and television. Lichte leessporen. Er is niet in geschreven of gevouwen. Drie breuklijnen op de rug. Gekneusde kaftpuntjes.